Comprehensive guide to hair transplant - Everything you need to know! Hair transplant surgery is one of the most popular aesthetic treatments undertaken by men today. A hair transplant is a procedure ensures high rates of success, providing patients with transformative results which ultimately restore a more youthful look. However, it’s vital to choose the method of hair transplantation best suited to your unique condition. Different hair transplant techniques deliver specific results and command varying prices. We have compared the three most popular hair transplant methods below, to help you understand their advantages and disadvantages. During the 1980s, doctors harvested hair groups, creating less-precise results. This often created an unnatural, unconvincing look. In 1990, a new hair transplant method was invented: the strip method. 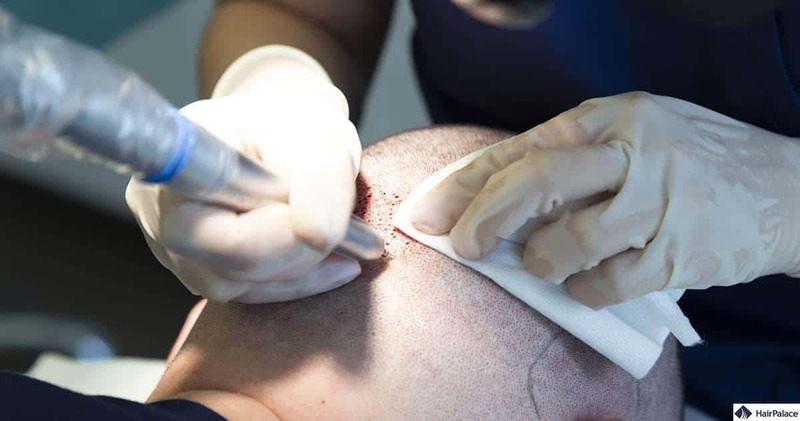 This involves cutting a strip from the patient’s scalp, before separating it into multiple parts, which are implanted into the target bald area. Follicular Unit Extraction (FUE) was a huge innovation which transformed hair transplants forever. Doctors began using micropunches to harvest patients’ hair follicles, creating grafts of between 1 and 3 hairs. This method enables doctors to focus on aesthetic details with remarkable precision, and leads to no scars – a revolutionary achievement. The FUE2 Safe System developed from the groundbreaking FUE method, and allows doctors to harvest follicles without damaging them. This process utilises a punch implementing a special point, preventing the doctor from drilling too deeply. Patients can enjoy a shorter recovery period with the FUE 2 Safe System too, due to faster healing. What is the FUT hair transplant method? The Follicular Unit Transplantation (FUT) treatment follows an intricate process. This involves removing a larger strip from the scalp, then cutting it into individual grafts. Local anaesthesia is used to keep patients comfortable during the surgery. The strip is taken from the donor area at the back of the head, running from one ear to the other. Typically, this is between 15 and 20 cm long and 1.2 – 2 cm wide, based on the number of hairs required for the transplant. These measurements can vary according to the patient’s unique needs. The follicular units are cut from the strip with microscopic precision, to ensure the individual grafts are exact. They will be implanted into holes cut into the target area, one by one – it’s a complex, labour-intensive process. FUT demands a high level of expertise, and should only be performed by experienced doctors. A horizontal scar remains on the donor area, though hair will grow to cover this; however, as the scar may be wider, FUT is not recommended if you prefer short hair (such as a crew cut). While this strip method is still a common choice and achieves successful results on a worldwide scale, FUE has begun to overshadow it. 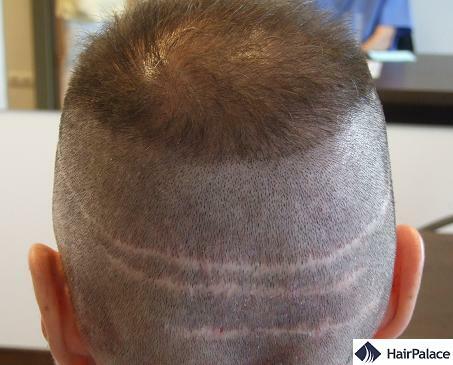 FUT may be the most suitable method if the patient wants to avoid the short haircut required ahead of FUE. The FUE hair transplant technique was regarded as the biggest breakthrough in the field’s history. During FUE, hairs are transplanted from the head’s back and sides: these areas do not become bald as they remain unaffected by hormonal changes. 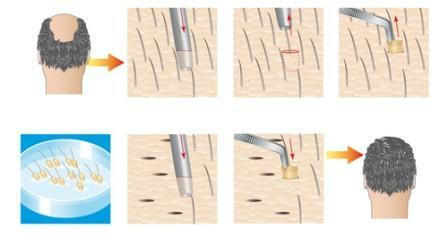 The hair is harvested manually (in units of 1 – 3 hairs) using an FUE needle with a diameter of just 1 mm. All hairs harvested from donor areas are processed under a microscope, before being transplanted to the target zones. The implanted hairs settle into their new position over time, and grow as they did in the donor areas. During FUE, doctors only work in the skin’s upper two layers (similar to tattooing). As a result, patients can receive local anaesthesia only to remain comfortable, and no visible traces remain in the donor or recipient area. The hairs’ direction, depth, and angle can be regulated to guarantee they suit the original growth pattern in the target area. This ensures a natural result, with permanent growth in years to come. The sole disadvantage of FUE is the implanted hairs’ regrowth ratio: the sharp needle may harm grafts during the harvesting process, and they may struggle to grow back once implanted. 65 – 70% of the implanted hairs regrow following FUE surgery. The sharp needle may cause deeper wounds than expected, leading to a recovery period of as many as 10 – 14 days. James Harris MD invented an improved version of the FUE method. He is the owner of the USA’s HSC Colorado clinic, and his SafeScribe is essentially a miniature rounded drill able to harvest grafts with incredible efficiency. Unlike the original needle used in FUE transplants, the SafeScribe tool makes no incisions. As a result, there is almost no risk of damaging the grafts, and 95 – 100% of the implanted hairs grow back after implantation. The SafeScribe punch features a depth-blocking device, preventing the doctor exceeding the depth required. Fewer deep wounds are caused to the scalp, and the healing process is 50% shorter than in traditional FUE surgery. No visible scars remain after recovery, allowing for short hair cuts. Our doctors are among the few surgeons who perform this revolutionary technique. Using the SafeScribe tool enables the doctor to harvest more hairs in less time, providing patients with a more comfortable process. The implanted grafts also incur less trauma. However, just because our FUE2 Safe System hair transplants are advanced does not mean extortionate costs: we believe everyone should be able to undergo restorative hair transplant surgery, which is why we offer them at an affordable rate. A hair transplant in the UK can cost anywhere between £2,000 and £15,000, depending on the extent of hair loss, the type of procedure you have. Our hair transplant treatments are provided in Hungary, which enables us to guarantee lower costs than a British clinic. In fact, our hair transplants performed in Hungary can save you as much as 50% against the cost of the same hair transplant treatment ANYWHERE in the United Kingdom. What is the procedure on the day of your hair transplant? We will schedule your treatment day as discussed in advance, to suit both your unique needs and those of the clinic. You can confirm the surgical appointment of your choice by sending us the details of your flight, but you must arrive in Budapest one day ahead of your surgery. At 8 am, you will be invited to enter your private room – prepared to be a comfortable, relaxing space. You are welcome to bring personal items from home if you wish, to help you feel more ‘at home’ before your surgery. Our Hungarian colleagues will be happy to help you at any time. You are free to enjoy a novel, listen to music, watch a film, or make personal phone calls while you wait. We provide you with up-to-date home cinema systems, internet access, and more. Our colleagues take the time to prepare everything ahead of your treatment, and they will perform a comprehensive medical examination. You will be able to discuss your surgery plan and the treatment day’s schedule with your doctor. Your procedure will start at 8.30. You are welcome to read, listen to music, or watch a movie during the hair transplant surgery itself. Our doctors are experienced surgeons, and will not be disturbed while performing the transplantation. Multiple phases are involved in the surgery. You will be given breaks between them, with enough time to eat a meal, take a walk, or simply relax in your room. We are committed to making your procedure as comfortable, relaxing, and satisfying as possible. Lunch starts at approximately 12.30 pm, and lasts for half an hour. Our colleagues will order you a meal from a restaurant of your choice. The second stage of the hair transplant begins at 1 pm. You can continue to watch a movie or listen to music during this process. Most of our hair transplant procedures end at 6pm. The surgery’s duration depends on the number of hairs to be transplanted, and your doctor will be able to tell you the exact end-time by the halfway point. There is no need to stay in the hospital overnight or to remain under observation. You can return to your premium accommodation after the treatment, and fly home the next day. After your hair surgery, you need to follow your doctor’s instructions and allow your new hairs time to grow. You will be able to carry on with your life and enjoy your new, restored hairline. You will have a more youthful look, greater self-confidence, and feel utterly rejuvenated. Have questions after the treatment? Please don’t hesitate to contact us. Your head may feel a little fuzzy due to the local anaesthesia. Crusts appear on the head. Use spray on implanted hairs every hour. Massage the implanted area gently, to encourage the crusts to disappear. Most of the implanted hairs will fall out. DON’T PANIC: this is completely normal. The implanted hairs will start to grow back slowly. You can truly enjoy the final results and the spectacular change taking place. All hair replacement procedures have to use your existing hair – the goal of your surgery is to identify the most efficient applications for it. Hair replacement candidates must have healthy hair growth on the back and sides of the head (the donor areas), and a large volume of hairs is key. Hair colour, texture, and style (waves, curls etc.) can affect the aesthetic result of your surgery. In some cases, hair restoration surgery is not possible or not worthwhile enough to perform. However, this will be determined before you travel to Budapest – eliminating the risk of a wasted journey. We believe it’s vital to keep you informed about the treatment process, the conditions of your guarantee, and the specifics of our services before you travel. No unexpected situations or circumstances will occur at our Hungarian clinic. Our solutions are completely transparent. You will travel to Hungary ONLY if you are a suitable candidate for hair transplant surgery and understand the costs. You will have plenty of time to calculate your expenses and ensure you can pay. 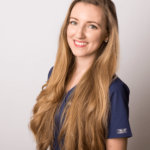 After your consultation, our colleagues will create a treatment plan which covers the complete cost, from start to finish. We provide you with a written guarantee on your implanted hair. FUE2 Safe System is the most effective hair transplant technology available today – ensuring the best results possible. We are proud of our surgeons’ work and the outstanding results they achieve consistently. This is why we offer our patients a guarantee in writing. We guarantee that 80% of your implanted hair will start growing within one year of the procedure, and will not fall out again. If this is not the case, we will re-implant the failed hairs FREE OF CHARGE. Our Budapest hair clinic has been specialised in hair transplants exclusively, for more than 10 years. Our surgeons have made several inventions in the field of hair restoration. Our surgeons performed over 1,000 hair transplant procedures with outstanding results for English, French and Hungarian patients. Want to see the results of our surgeries in the flesh? He received 6000 hairs, and was very satisfied with the results – so he sent a video message to our team. Larry David once said, “Anybody can be confident with a full head of hair. It’s the bald men that are the real diamonds in the rough!”, and rightfully so. Male pattern baldness is one of the leading causes of depression and midlife crisis attacks amongst all men. Even the very concept of losing one’s hair can be devastating to some people, causing almost irreparable psychological damage. This is because baldness is generally associated with growing old, becoming less virile, growing weaker, becoming “less of a man”. While this is almost never true, the vast majority of men can’t help but feel a bit more exposed when losing their hair. Some of them even going as far as to compare losing their hair with losing one of their limbs. There are a lot of factors that can cause baldness, from stress to genetics, from foods to autoimmune responses; however, the aftermath is always the same. Once it’s gone, it’s gone for good. Because hair loss is such a massive stress factor for men, scientists have spent years researching and trying to find a cure for baldness. While no actual cure was discovered yet, there have been breakthroughs in regards to treatments and interventions. There are a lot of substances out there that are designed and created to stagger hair loss for as long as possible, or even stop it dead in its tracks. There are also treatments out there designed for men that have already lost hair and are looking to get it back.